Color By Category is like color by number. It includes 7 different pictures and 6 different levels. Color each circle according to the category. Students have a great time guessing what the final picture will be! 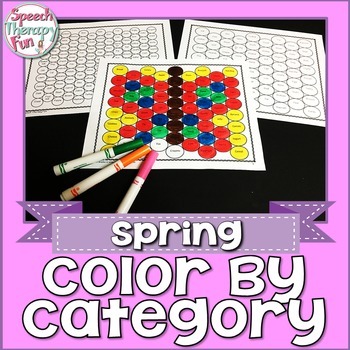 Categories include animals, food, school, transportation, colors, outer space, sports and more. Please enjoy this free spring themed color by category.